iZCALLi was in boulder for the first stop of their Illegal Pete’s Summer Tour 2012. The show was a blast as the people in attendance can confirm. What started out with a relaxed and soulful set by our new friends Cold River City turned into and all out dance party when iZCALLi took the stage. It was a sight to see people walking by on the Pearl St. Mall stopping and taking a peek at the madness inside Pete’s. The tour continues when iZCALLi takes stage at Illegal Pete’s LODO on August 4th celebrating Miguel’s B-day. 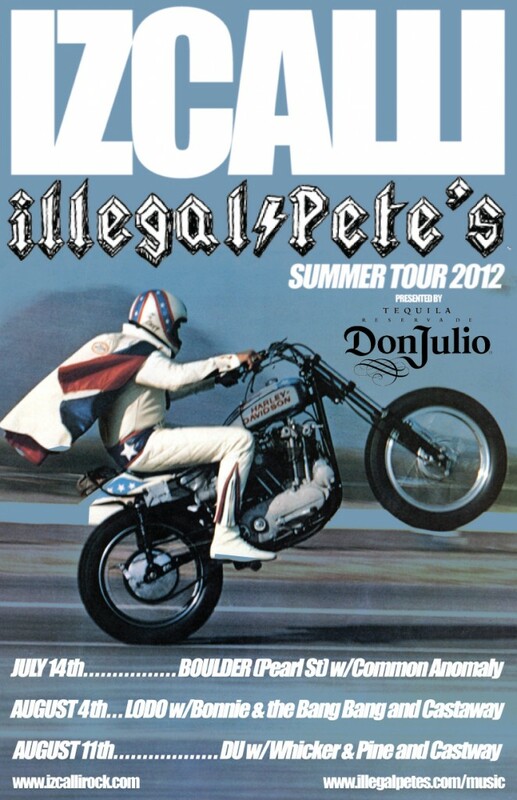 A week later iZCALLi is back in action on August 11th at Illegal Petes’s DU, for more information http://illegalpetes.com/music Thanks to RETI Rock En Tu Idioma and Virgil Dickerson for putting it together. Previous post We love you….Chicago! Next post The UMS is HERE!